I have been talking with my girls and they are itching to get back home, which makes my day. They are having a great time with their dad of course, but home is home. I have exactly one month from today until I pick them up. I’m planning on a Myrtle Beach getaway for a day or two to welcome them back home. 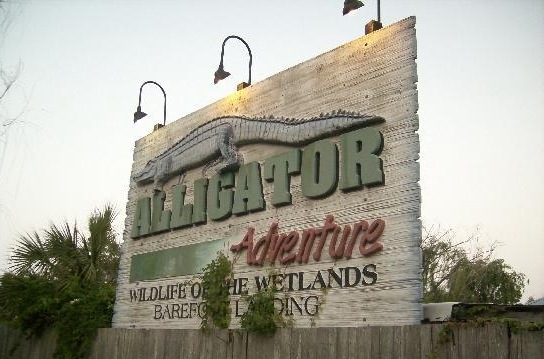 We might hit the Alligator Adventure and then off to a seafood buffet. For now I’m catching up on house work, looking for a job, and just loving the fact that I’m able to have fun even if I’m by myself. I do miss sharing things with someone, but I’m happy to be single and have no relationship drama in my life. This entry was posted in Uncategorized and tagged Alligator Adventure, Computer, Myrtle Beach. I hope you get your computer issues resolved Shannon. I now it is frustrating to say the least. One more month without your girls. Enjoy it! You will blink and they will be back with you and you’ll be pulling out your hair 🙂 No relationship drama can be a good thing. God knows…we have enough drama in our lives just making it though each day.